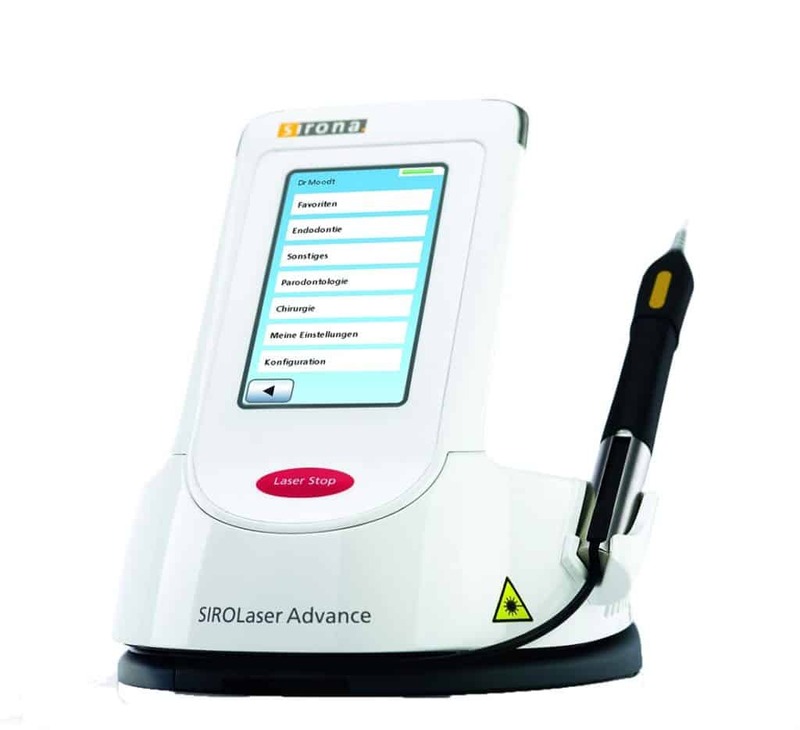 SIROLaser Advance used in this practice is a diode dental laser made by Sirona. Diode Dental Lasers can be used as simpler more pleasant method of reshaping gum tissue with no bleeding and faster healing. Other dental laser treatments include: removal of aggressive bacteria in deep gingival pockets and root canal systems, also Herpes and Apthae viruses are killed systematically and almost pain-free resulting in improved healing. Soft tissue lasers penetrate soft tissue while sealing blood vessels and nerve endings. This is the primary reason why many people experience virtually no postoperative pain following the use of a laser. Also, soft tissue lasers allow tissues to heal faster. It is for this reason that a growing number of cosmetic dental practices are incorporating the use of soft tissue lasers for gingival sculpting procedures.